A Senate policy committee this week passed an environmental standard bill identified by the California Chamber of Commerce as a job killer because of the uncertainty and increased potential litigation the bill would create for California companies. SB 1 (Atkins; D-San Diego) gives broad and sweeping discretion to state agencies to adopt rules and regulations that they determine are more stringent than federal rules and regulations adopted after January 19, 2017. The CalChamber labeled SB 1 as a job killer because the uncertainty created by the bill’s vague, ambiguous, and broad language and lack of due process in the rulemaking process would have a negative impact on the growth, employment, and investment decisions of almost every major California business. 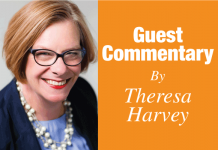 Due to costs and anticipated litigation associated with SB 1, companies doing business in the state would be hard pressed to hire more workers or expand California operations. At the Senate Environmental Quality Committee hearing on SB 1 on March 20, the author, Senate President Pro Tem Toni Atkins, and coauthor Senator Henry Stern (D-Canoga Park) acknowledged the concern voiced by the CalChamber and other opponents about the uncertainty the bill creates for the regulated businesses.The senators expressed a willingness to work with CalChamber in good faith to address these concerns in the hope that all opposition could be removed. SB 1 seeks to create an expedited administrative procedure not subject to the California Administrative Procedures Act when promulgating emergency rules pursuant to SB 1. Should SB 1 become law, it will likely instigate a wave of new litigation from interested parties wishing to compel a state agency to perform an act required by, or to review a state agency’s action for compliance with, any of the laws subject to SB 1. Businesses would inevitably be forced to intervene in these lawsuits in order to ensure that their interests are adequately represented. In voicing opposition to the measure, a coalition of 35 business associations has joined CalChamber’s effort to educate policy makers about the negative impacts of the bill. Moreover, the bill circumvents the Administrative Procedures Act by improperly empowering state agencies with limited legislative oversight, and threatens to undermine wetland regulation efforts currently being pursued by the State Water Resources Control Board, as well as operation of the Central Valley Water Project. The bill will inevitably result in unnecessary litigation against state agencies and regulated entities. SB 1 is a reintroduced version of last year’s SB 49 (de León; D-Los Angeles)—a job killer bill that was stopped in the Assembly. Ayes: Allen (D-Santa Monica), Hill (D-San Mateo), Skinner (D-Berkeley), Stern (D-Canoga Park), Wieckowski (D-Fremont). Noes: Bates (R-Laguna Niguel), J. Stone (R-Riverside County). SB 1 is the second bill to be tagged a job killer by CalChamber so far this year. On March 4, the CalChamber announced that AB 51 (Gonzalez; D-San Diego), a reintroduced version of a previous bill that was vetoed by Governor Edmund G. Brown Jr. in 2018, had made the list. 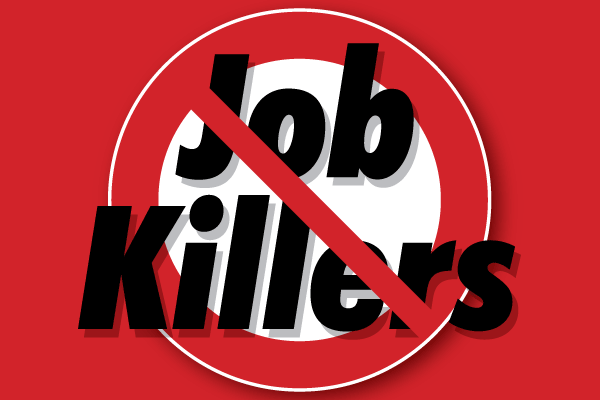 Track the status of the job killer bills on www.calchamber.com/jobkillers or follow @CalChamber and @CAJobKillers on Twitter. Adam Regele joined the CalChamber in April 2018 as a policy advocate specializing in environmental policy, housing and land use, and product regulation issues. He came to CalChamber after practicing law at Oakland-based Meyers, Nave, Riback, Silver & Wilson, PLC, where he advised private and public clients on complex projects involving land use and environmental laws and regulations at the local, state and federal levels. Before entering private practice, Regele served as a federal judicial law clerk to the Honorable Edward J. Davila of the U.S. District Court, Northern District of California. Regele earned a B.S. in environmental science at the University of California, Berkeley, and a J.D. from UC Hastings College of Law, where he was symposium editor and research and development editor for the Hastings West-Northwest Journal.